UN Correspondent from New York, May 15 (Just News): UN Secretary-General António Guterres is profoundly alarmed by the sharp escalation of violence in the Occupied Palestinian Territory and the high number of Palestinians killed and injured in the Gaza protests, said the Spokesman for UN Secretary-General on Monday. Hospitals report that essential medical supplies, drugs and equipment have already been exhausted. Humanitarian funding and improved access is urgently needed to meet these and other existing or emerging needs. 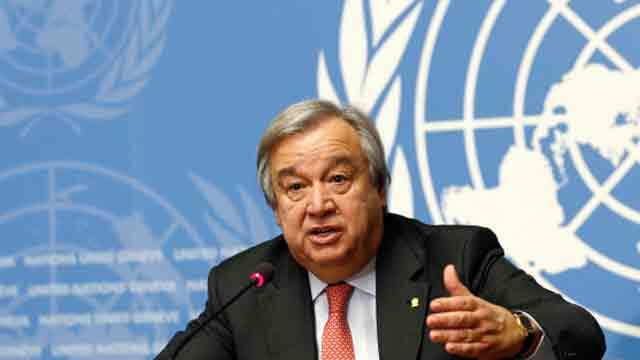 The ongoing violence underscores the urgent need for a political solution, António Guterres added. The Secretary-General reiterates that there is no viable alternative to the two‑State solution, with Palestine and Israel living side by side in peace, each with its capital in Jerusalem.